Ideal tool for synchronizing the phase angle and frequency between two electrical networks. Nominal Input Voltage: Choice in 120VAC or 240VAC. Overload: 1.25 x Nominal Voltage. Scale: Slow / Fast indicated with 24 LEDs in a circular pattern. Pointer LED: 15 Degrees / LED. BUS LED: Green 108VAC-132VAC, Red <108VAC or >132VAC. GEN LED: Green 108VAC-132VAC, Red <108VAC or >132VAC. 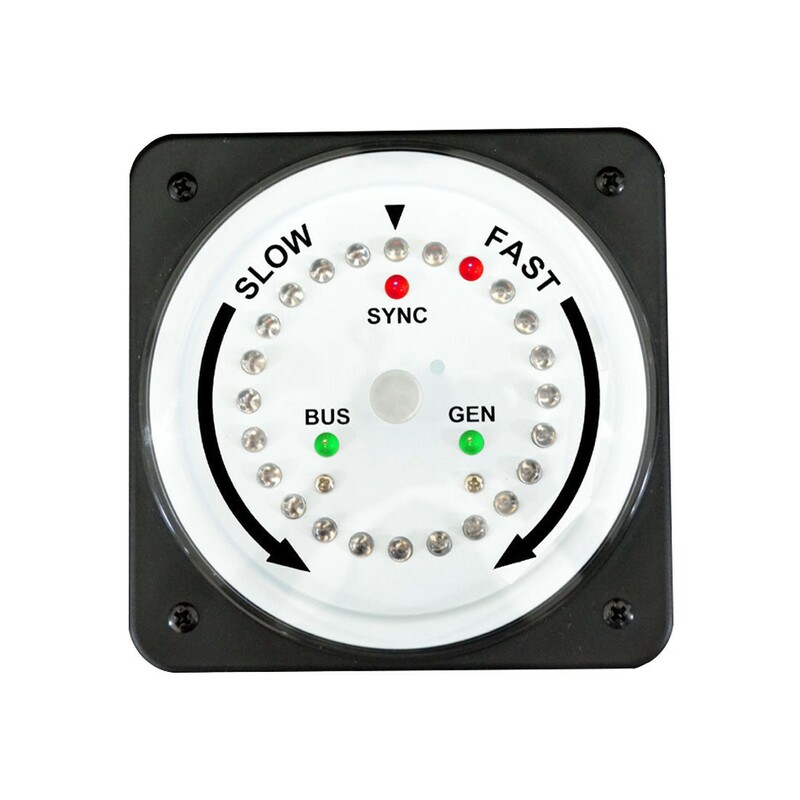 SYNC LED: Green "GEN and BUS" are synchronized, Red "GEN and BUS" are NOT synchronized.